Picture the scene if you will; Le Mans in the early 1960s; the playground of the European sports car greats, synonymous with names such as Ferrari, Aston Martin and Porsche. Imagine a race in which the first six spots on the podium are locked out by Ferraris; legendary 250 GTOs and a scattering of 250 Ps. Then imagine a complete newcomer marque from the US taking seventh position overall. Never raced before at Le Mans, this Cobra, driven by British drivers, Ninian Sanderson and Peter Bolton in a team managed by Sir Stirling Moss, placed seventh in the 1963 rendition of the fabled Le Sarthe race. It is this very car that Fiskens is honoured to present here at Rétromobile. There was a healthy rivalry in period between Carroll Shelby and Enzo Ferrari born out of Shelby’s thinly disguised ambition to break Ferrari’s reign over the Grand Touring (GT) category of the World Manufacturers’ Championship. The Shelby American Cobra was homologated in mid August 1962 and took to the track in anger at Daytona in February 1963 and Sebring in March, but it was significantly outclassed by Enzo’s 250 GTOs. Seeing what he was up against, Shelby cleverly decided not to field a Works team in Europe for the remainder of the ’63 season, but rather concentrate his efforts on 1964 after a full development and testing programme. 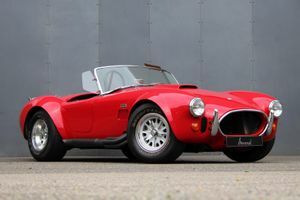 However, the lure of Le Mans was hard to resist and so Shelby managed to persuade British manufacturer AC Cars to allow him to join the party incognito. 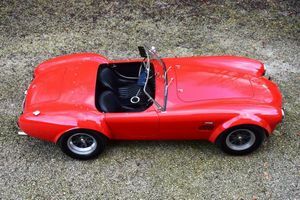 AC Cars built Cobra chassis number CSX2131 at its Thames Ditton factory, especially for drivers Sanderson and Bolton and then Team Manager, Moss to campaign at Le Mans in 1963. The Cobra was fitted with a specially fabricated and removable ‘fast track’ aluminium hard top to handle the aerodynamic requirements of the long Mulsanne Straight, an integral fuel filler, enlarged front and rear bumpers, Dunlop one-piece magnesium wheels, a 37 gallon fuel tank and rear-exiting exhaust, amongst a range of other modifications. 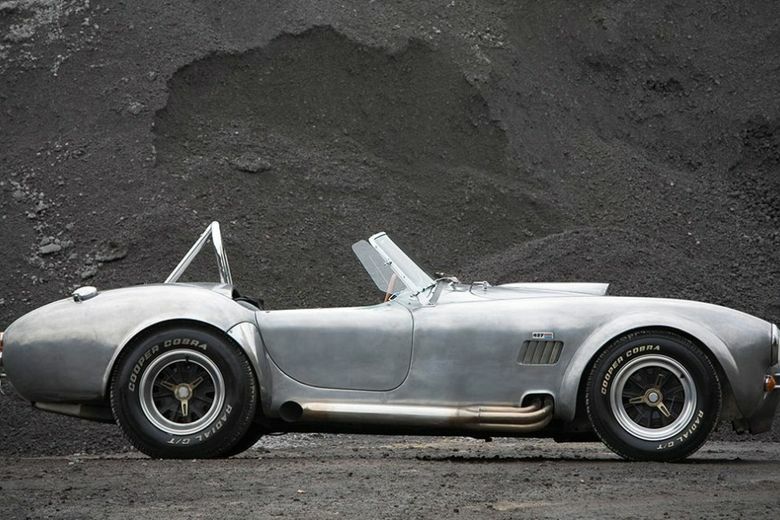 Shelby provided AC with a 289 Cobra V8 racing engine with Lucas dynamo. This racing ensemble of car, drivers and team manager, finished off with a sponsorship by the Sunday Times, meant that Shelby could make a ‘back door’ assault on the Le Mans crown without being formally involved. 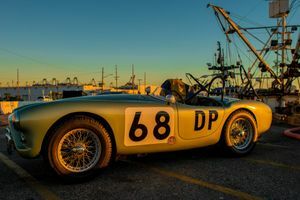 A result of seventh overall and third in class with an average speed of 108 miles per hour was one of the most significant moments of the Cobra story and is credited with paving the way for Ford’s later efforts at Le Mans too. 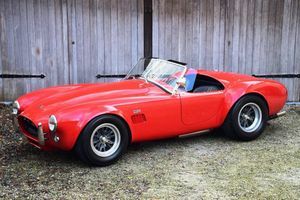 Following Le Mans, the Cobra was purchased by John Willment’s race team and was immediately prepared for the important Tourist Trophy race at Goodwood in March 1964. Sadly it didn't run due to eligibility issues but some good was to come out of the event as British racing ace Jack Sears tried out a Cobra in practice and later Willment offered Sears a seat in CSX2131 for the rest of the 1964 British season. April brought with it races at Oulton Park and Aintree in which Sears and CSX2131 took second and third places respectively and a couple of races at Silverstone which he won. There was a third place in early May at Silverstone too at the Daily Express race. Later in May at the 1000kms of Nurburgring, the Cobra was unfortunately victim of a racing incident. 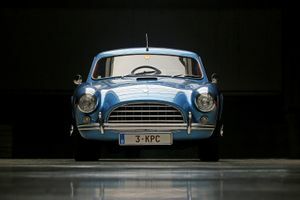 It was not substantially damaged and rebuilt in less than six weeks, including an upgrade to the latest AC chassis, which was modified to Willment race specification. This meant a few months off from racing, but the Cobra’s first race back was perhaps its most notable; the Ilford Trophy Race at the British Grand Prix meeting in July. This race went down in racing history due to a mistake made by the race officials, who black-flagged Sears into the pits, to rap him on the knuckles for allegedly taking the wrong grid position. Starting from the pits at the back of the pack, there followed a mad dash from Sears who, with the entire crowd behind him, got up to fourth position after five laps, and eventually overtook Jackie Stewart’s Lightweight E-type Jaguar into first position on lap 15. Apparently the cheers included those of legendary special-builder John Bolster who according to that week’s Autosport ‘waved his renowned deer-stalker wildly!’ Motorsport magazine, reminiscing about the race in its October 1979 edition, proclaimed it to be ‘one of the classic stories of British motor racing’. Another meeting of note was the International Guards Trophy race on August 3rd at Brand Hatch where, in the GT class, there was a great battle between Jack Sears and Chris Amon that went all the way with just 1.4 seconds separating the Willment and the Atkins Shelby American Cobras at the finish. It was reportedly a great dice, which Sears won. Other notable results that season included a win at Croft and fourth overall and second in class at the RAC Tourist Trophy at Goodwood, which was to be Sear’s last race with the Cobra. By the end of the season it seemed that Willment wished to sell CSX2131, advertising it for sale in the November issue of Motorsport proclaiming it to be a ‘Real Ferrari eater!’ However, the Cobra stayed on as part of the Willment stable and ran it at a couple more races in 1965, with results including a second overall at Brands Hatch and a first overall at Goodwood. 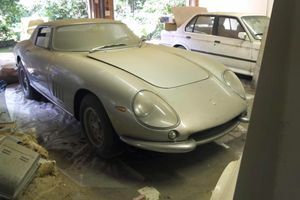 It was then sold and passed through a small number of owners until Nigel Hulme acquired it in 1973, spending the following two years restoring it to its former 1964 Tourist Trophy specification and splendour. 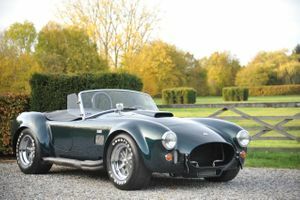 The Cobra is offered for sale with an extensive history file including a large number of period race reports and period photographs, several motoring magazine features and test drive pieces, a number of letters from various past owners and many invoices of works completed from revered specialists such as RW Racing Services. It represents a rare opportunity to acquire the most recognised British Cobra, whose pedigree and continuous racing history are all set for the next chapter in an illustrious racing career.